Fear of reprisals for reporting wrongdoing, whistleblowing on corruption or possible corruption, breaches of legislative regulations etc. is a real concern when fighting corruption and this fear is very pronounced in Croatia. Croatia (like all former Yugoslavia member states) is a country riddled with entrenched corruption stemming from the communist public service and administration culture and it needs a stronger whistleblowing regime. 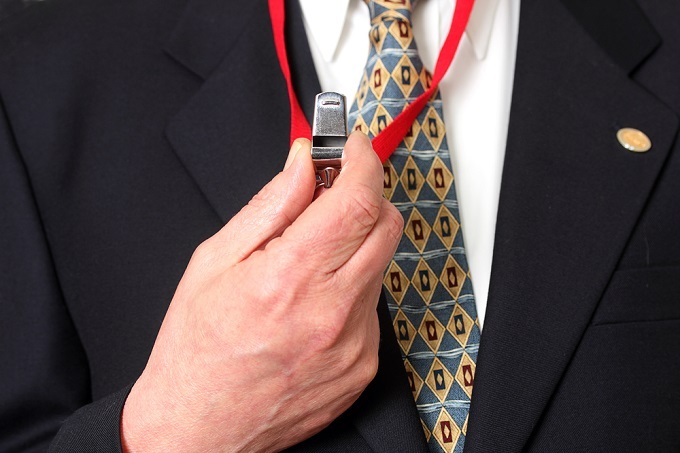 To have a strong whistleblowing regime it means freedom from damaging consequences for those who report wrongdoing and it also means that the number of whistleblowers present and active needs to be high. That is, the number of people raising complaints and pointing to wrongdoing. That means Croatia needs better protection laws for whistleblowers; better freedom of information laws; a third party to report wrongdoing to in a process of operational “checks and balances”; cultural change at the organisational and individual levels; and compensation for those suffering retaliation for speaking out. According to the Croatian justice ministry’s June 2017 issue of Action Plan for 2017-2018 under the Implementation of the Anti-Corruption Strategy for 2015-2020 (PDF of Action Plan), the law that would, among other, make provisions for the protection of whistleblowers should reach the parliament chambers in the third and fourth quarters of 2018. The justice ministry has already established a working group under the government’s Advisory Committee On Combating Corruption. The above anti-corruption strategy recognises and acknowledges the fundamental role of whistleblowers in highlighting corrupt practices and in contributing to enhance transparency and political accountability. The strategy stresses the “need” to guarantee whistleblowers effective judicial protection, including measures to strengthen judicial transparency, enhance the reporting system for illegal conduct, and complete the regulatory framework to safeguard whistleblowers. Croatia’s economy is presently overcast by thick clouds of unease and suspicions of major corruption emerging from the Agrokor affair. Related to the Agrokor and its majority owner Ivica Todoric affairs threatening to bankrupt the country once debt recovery claims, especially those from foreign banks such as Russia’s Sberbank, come knocking on the door sits, of course, Pandora’s box of corruption at the highest levels of political echelons. Should the lid of that Pandora’s box be lifted then even if all the “evils” escape into the open the mythical hope (for justice and good) that should remain inside the box is likely to be weak and flimsy, if at all existing. To open Pandora’s box means to perform an action that may seem small or innocent, but that turns out to have severely detrimental and far-reaching negative consequences for those who open the box and for those associated with them in dealings. It was about one month ago that a former member of the Liberal Party in Croatia, Bruno Mirtl, revealed to the public that over 10 years ago he received 50,000 kuna (about 6,500 Euros) for the party’s funding from Ivica Todoric of Agrokor, In the days before Todoric’s arrest in London, it was announced that Agrokor – which had enjoyed privileged treatment by all Croatian governments for decades – had filed false accounts, hiding a loss of several billion Euros. As Mirtl rightly observes, if even such a small party as his own obtained unlawful funding by Todoric, then there is no doubt that the main, more influential parties (Croatian Democratic Union/HDZ and Social Democratic Party/SDP) received much more substantial sums from the same source. Mirtl’s testimonial account could trigger a domino effect on the Croatian political scene, forcing drastic and forced exodus from the major parties of significant members and political power-brokers come wheelers and dealers. But the domino effect in a political playground can only happen if those fighting against corruption possess hope that such battles can in effect be won. If one was to judge the strength of that hope upon past experiences then cover-ups, stalling of legal processes etc. that have occurred in similar circumstances, that hope will evaporate into thin air. It would seem that major political players from the major political parties, supported by the bent mainstream media are digging their heels in and trying to suppress the Mirtl and Todoric affair under similar connotations that permitted Todoric to pull wool over everyone’s eyes when it came to the origins of his enormous personal wealth. This goes without saying that if the whistleblower protection is inserted into the legislation draft, one really never knows how even the tightest of plans for such legislation to go ahead can be hacked out of existence, the HDZ government and SDP opposition (as both have governed the country over periods in the last two decades, after Homeland War and may have had their fingers deeply immersed in the corruption pie) would no doubt try their damnedest to find solutions that ensure wolves (guild owners, managers, senior political officials) remain fully satisfied and the sheep, though perhaps reduced in number, remain anaesthetised. And the fact that the recently established Parliamentary Inquiry Committee (which is in no way independent of political parties as it should be) on Agrokor is about to be extinguished lends itself to more unrest and recriminations across parliamentary benches. The governing HDZ insists that the applicable legislation requires for the Committee to stop operations once legal proceedings directly related to the reason why the Committee is set up commence, the Committee has no further jurisdiction. The SDP opposition, on the other hand, think differently and says the Committee can continue its operations regardless of separate legal proceedings held in court. Given SDP’s history as well as HDZ’s one doubts that when it comes to unearthing details of corruption in this case the dispute between the two major political parties about whether the Committee can or cannot continue appears blatantly contrived. It does leave room for speculation as to the genuineness within the motives to set up such an inquiry in the first place and how much of its rushed start has to do with throwing dust in public’s eyes, giving the outlook of real search for corruption was afoot when, in fact, it was all an exercise to win on time. The real crunching of corrupt culprits and their ill-gotten wealth may never even reach the door that leads into the room where justice and consequences for corruption are dished out as a matter of normal governance of Croatia. Not all the sluggishness and lack of action from Croatia’s leadership when it comes to affirmative matters and getting things done for whistleblowers, upon whose existence fighting corruption largely depends, can be attributed to the governments of present and past. Croatia’s presidents since year 2000 have not stepped up to the action mark either. And this goes for the present president Kolinda Grabar-KItarovic as well. Shortly after taking office as president of Croatia, Kolinda Grabar Kitarovic appointed Vesna Balenovic as her commissioner/adviser for whistleblowing issues. Vesna Balenovic is a well-known whistleblower, who few years ago denounced some of the executives of the INA oil company (of national importance) where she was employed. She was immediately dismissed, ending up with defamation charges by then Chairman of INA’s Board of Directors Tomislav Dragicevic and former Minister of Finance Slavko Linic. Later on, Chairman of INA’s Supervisory Board Davor Stern advanced the idea that Vesna Balenovic could be re-admitted into the company as commissioner for the fight against corruption. This never happened, but Balenovic has remained present in public life as founder and president of the Zviždač association (Whistleblower Association). INA has stopped being a public company for some time, as the administrative rights were transferred to Hungarian MOL (this matter is the subject in criminal proceedings for corruption waged now for years against former Prime Minister Ivo Sanader). This deal was accompanied by extensive corruption (refer for example to former Prime Minister Ivo Sanader case) that still weighs not only on the bilateral relations between Croatia and Hungary, but also on domestic politics and the work of the Croatian judiciary, which is definitely not equipped to face these kinds of challenges on a fair-and-square basis as it itself is said to be corrupted and filled with former communist operatives that should be lustrated out of the judicial corridors and benches. Four months after being appointed as commissioner/adviser for corruption by president Grabar-Kitarovic, Balenovic left that office in protest, arguing that she had not even seen a glimpse of the president in the entire time she worked in her cabinet. One could (should) be a cynic here and say that Balenovic had obviously not realised that her only task was to be a trophy in Grabar-Kitarovic cabinet, who obviously has close ties with many persons responsible for or who have contributed to the sluggishness and alarming inaction when it comes to real fighting with corruption that would see deposition, lustration and even imprisonment of quite a number of political elitists. The world needs courageous people to put things right. Reading this, I am distressed at the similarity of what is happening in the US, with the sale of 20% of our uranium to Russia for the purpose of enriching Hillary and Bill Clinton. It seems once people are in power they become corrupted, and the Clintons are the new crime family of the US. Yes, you are very good at making sure others are informed and kept up to date on Croatia. Thank you, dear friend. My work hours have become mandatory 50 a week so my visits are few and far between. . .so sorry, dear friend.